Cancer survival in the UK is still below the European average, despite recent improvements, a report says. Five-year survival rates in lung, breast, prostate and colorectal cancer were lower in the UK compared with everywhere except eastern Europe. The Eurocare studies of 23 countries looked at the outcome of 2.7m new cases diagnosed between 1995 and 1999. Government cancer "tsar" Mike Richards said poor results in the UK had been due to delays spotting the disease. The studies, published in the Lancet Oncology journal, are the largest international projects to compare the survival of patients from 11 different cancers. They reveal wide differences in death rates from both rare and common types of cancer. The best performers are Nordic countries such as Sweden and Norway and central European countries. Ranked just beneath them are south European countries, and lower still is the UK, followed by Eastern European countries. While death rates have fallen in the UK, they have also fallen in the rest of Europe. Some eastern European countries almost matched the UK's performance despite spending less than a third of the UK's health budget per head of population. Overall, for men Sweden had the best survival rates with 60% of cancer patients alive five years after diagnosis, compared to between 40% and 50% for England, Wales, Scotland and Northern Ireland. An editorial in the Lancet Oncology questioned whether the NHS Cancer Plan, launched to tackle poor survival rates in the UK, was working. "Eurocare is an important indicator of oncology provision in Europe, giving insight into healthcare effectiveness and the improvements needed. "Our concerns illustrate the considerable challenges that now face the UK government if it is to make the NHS work efficiently and effectively." Professor Richards conceded that while some of the data from European countries could be flawed, this was unlikely to account for all of the differences between countries. "The findings show that many more lives could be saved if the outcomes in all countries were brought up to the standards of the best countries." He added: "The poor results from the UK were attributable mainly to patients having more advanced disease at diagnosis than patients in other European countries." The NHS Cancer Plan was launched in 2000, and promised an increase in specialist staff and equipment to tackle the delays in diagnosing and treating cancer. Strict targets on the waiting times for scans and appointments were set. Professor Richard Sullivan, Cancer Research UK's director of clinical programmes, said the figures showed the plan was beginning to make a difference. But he added: "Cancer is still not being diagnosed early enough in all cases. And we need to ensure that patients have access to the best surgery, radiotherapy and other treatments. 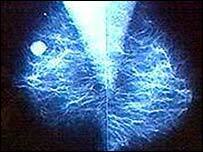 "This study shows that cancer is certainly not a 'ticked box'. We need a sustained effort to beat the disease." Why is the UK lagging on cancer?